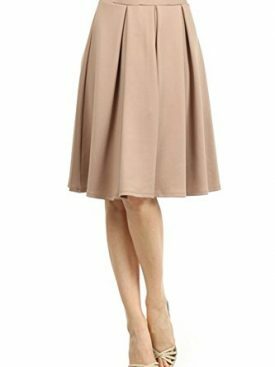 The skirt was born in the 1950s, designed by Juli Lynne Charlot, in the United States. 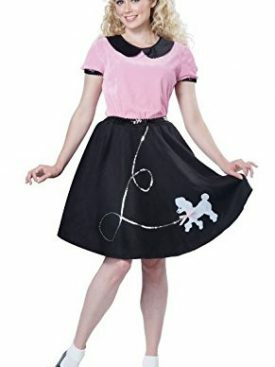 It was very popular among young and teenage girls. 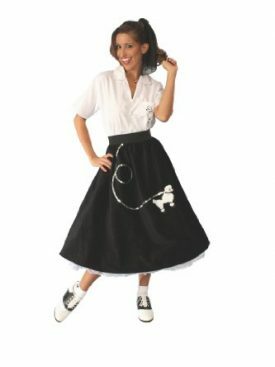 Girls used them in school dances and as casual wear. 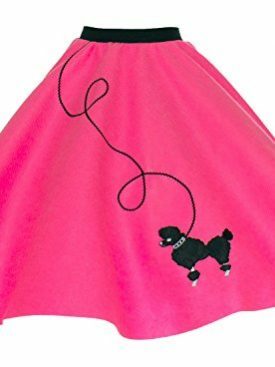 Since design was simple and a fabric material was easily available it was also popular to make at home. 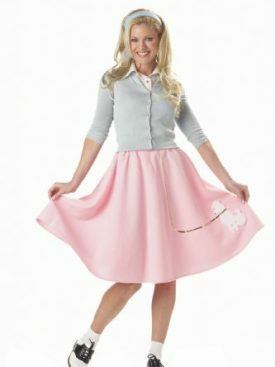 Celebrities started to wear skirt and it was popularized in advertising. 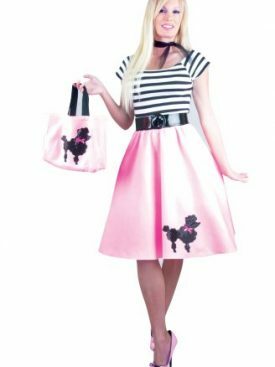 Many women were ravenous too keep up with Hollywood celebrity fashion. 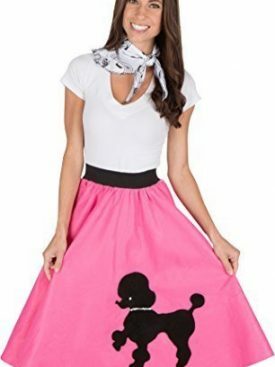 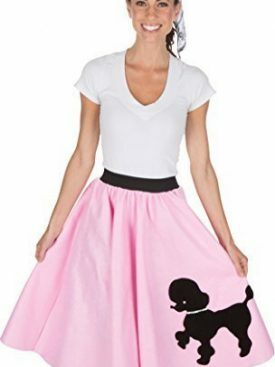 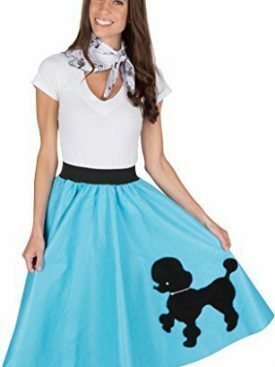 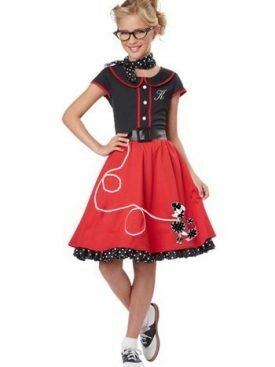 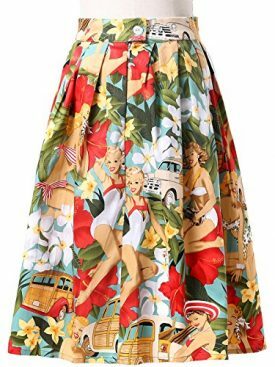 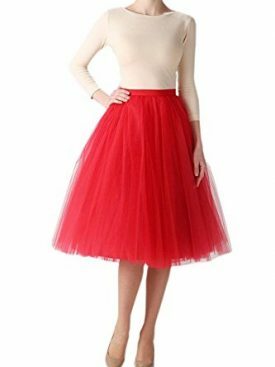 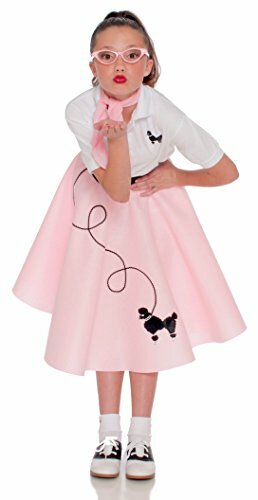 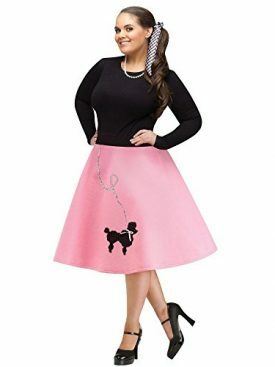 Most memorable skirts of 1950s were Poodle Skirt. 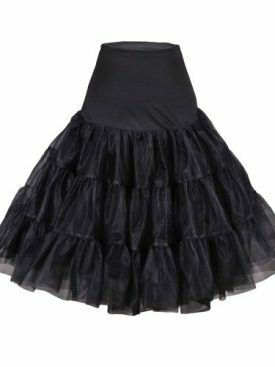 In now days there are similar design skirts but shorter and the band had been styled. 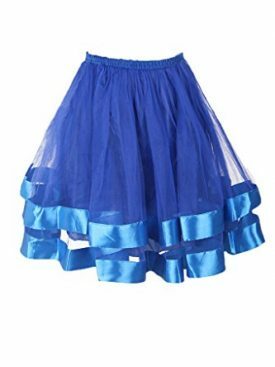 Includes: Skirt. 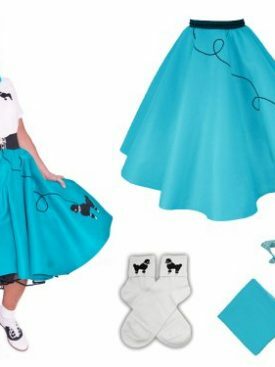 Not included: Headband, cardigan, shirt, socks, shoes.